With support from Jubilee—platform for artistic research, and a/r (art & recherche, Brussels). 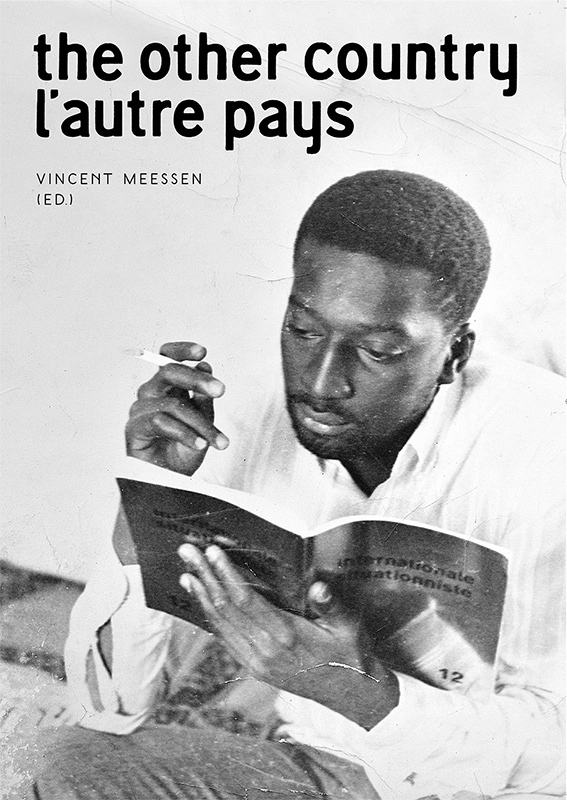 On the occasion of the solo exhibitions Sire, je suis de l'ôtre pays (WIELS, 2016), and Omar in May (Centre Pompidou, 2018) Vincent Meessen edited this artist book. It includes essays by Pedro Monaville, Stefano Collicelli Cagol and Ruth Baumeister, a dialogue between Tom McDonough and Vincent Meessen, a visual essay by Vincent Meessen and reprints or the first publication of texts by Guy Debord, Omar Blondin Diop and Diangani Lungela. With support by Jubilee – platform for artistic research, and a/r (art & recherche, Brussels). The Other Country / L'autre pays will be presented on May 11, 2018, at Centre Pompidou during Omar in Memoriam. 128 pages, colour, paperback. To pre-order the book, please contact Jubilee through info@jubilee-art.org.